With the passage of Senate Bill 117 in May 2013 (Act 2013-68) and the creation of the position of the Secretary of Information Technology and the Office of Information Technology (OIT), the responsibilities of Information Technology (IT) Governance, to include planning and policy, were transferred from the Information Services Division (ISD), Department of Finance, to OIT. 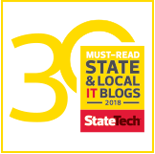 Until such time that OIT can fully assimilate ISD IT policies, existing ISD IT policies shall be considered statewide policies promulgated under the authority of OIT. The following ISD legacy policies (previously published on the cybersecurity.alabama.gov website) shall remain in effect until they are reissued or rescinded by OIT.